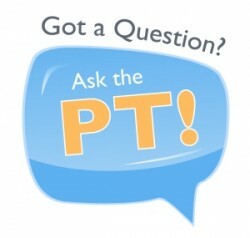 In the next series of “Ask the PT”, Team BRIO provides breathing tips for runners. Q: How can you get your breathing better while running. I seem to breathe heavy no matter what I do. I play tennis as well so I thought that would help with my running breathing. A: Breathing for those new to long distance running is a common concern. I think it can be more common in a climate like New Orleans where the heat and humidity are potentially complicating factors. Below are a couple of articles that are specific to runners and both discuss techniques to better breathing, perhaps different than techniques you may be used to with tennis. Both articles reference learning how to breath using diaphragmatic breathing. The video gives a more in-depth description. Most runners I know have had to work on this, and most develop a variation of one of these techniques that works best for them. Baudry Therapy Center/ BRIO partnered with the New Orleans Track Club to launch an “Ask the PT” feature in the NOTC monthly newsletter allowing runners the opportunity to submit questions to our experienced PTs about run training, nutrition or pain. If you have a question, please send it to [email protected]. Team BRIO brings an enlightened and informed perspective to the sport of running, helping runners to truly understand the physical, mental, and mechanical limitations that hinder their performance. BRIO’s experienced team of physical therapists, exercise physiologists, personal trainers and run coaches works with runners on an individual basis to not only educate, but to inspire—motivating runners to reach their set goals, and unlock the true potential within. For more information on running or run training, please check out our Running Series or call us today at 504.841.0150.